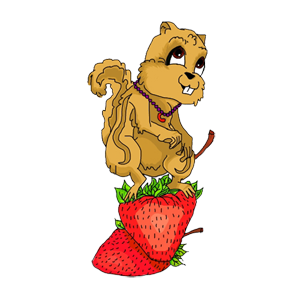 The Adventures of Chatty Chipmunk is a fantasy tale of a little chipmunk longing for exciting adventures — anything that would take him away from the humdrum world of endless, boring chores daily prescribed by his mother. Looking for adventures, Chatty meets with close scrapes and even danger as he encounters Chessie, the cat, who is always on the lookout for a quick chipmunk snack; Slink the weasel, his most feared enemy; and his ever-present nemesis, Farmer Shoestring. Chatty is unaware of the farmer’s plan to rid the world of the pesky critter with a pan of poisoned birdseed, meant to be the chipmunk’s final undoing. Find out how Chatty escapes in this story that teaches children the importance of obedience and responsibility.